We invite everyone in the congregation, young and old, as our TAS Family comes together to do acts of Tikkun Olam (repairing the world). Projects will benefit our local homeless community, seniors at Seacrest, and our own TAS campus. 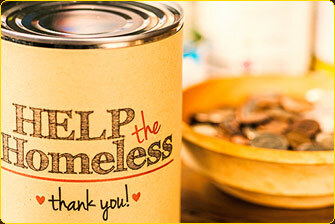 Items for the Mitzvah Day Giving Drives can be brought to the Temple anytime between now and March 3. Get details for each project and sign up for specific projects here. Suggested donation: $5 per person/$20 per family. Donations of any amount are greatly appreciated! Click here to donate toward the cost of materials. Work together with friends and family, or make new friends! Click here to sign up. 1. JFS Safe Parking Dinner for 60 people. 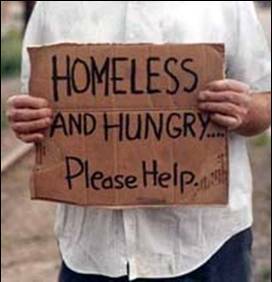 JFS provides a safe place for overnight parking for the newly homeless as well as a nightly dinner for about 60 people. We will be making them a nutritious dinner as well as needing people to help serve later this evening at the JFS facility. Sign up for one or both tasks. Join our 7th graders in preparing bags with toiletries, food and drink for people living on the streets. These bags will be distributed to families attending Mosad Shalom to give to homeless people. 3. TASTY event: Dog and Cat Toys. Do you like cats and dogs? If so, this project is for you. Help our TASTY and Jr. TASTY group make cat and dog toys for shelter animals. Bring canned or dry dog food donations also and we will bag them up for the shelter as well as the JFS Safe Parking participants. 4. Blood donation through the Red Cross. Give us an hour of your precious time and you will give someone else the gift of a lifetime! Donate blood on Mitzvah Day by signing up ahead of time at redcrossblood.org. 5. Temple beautification with the Men's Club. Come and help us plant succulents at the entry and exit of our beloved TAS. Wear a hat, bring sunscreen, gloves, a water bottle and general gardening tools if you have them. With your help, our temple grounds will look spectacular! Calling all knitters and crocheters! We will be making warm hats to give to our homeless community. Bring knitting needles and crochet hooks if you have them and we will supply the yarn. You can even start knitting now and bring your finished or partly finished projects to Mitzvah Day. 7. Bags of toiletries for ICS. Help make a lovely no-sew blanket to give to our less fortunate brothers and sisters at the Polinsky Center, to show that we care. The project involves the use of sharp scissors that can cut through thick material, so this job is not intended for small, young children. However, they are welcome to participate with parents as the project involves an easy-to-do task like tying knots once an adult cuts the fringes. 9. Sack lunches for ICS. We will be making approximately 200 sack lunches for ICS participants. Kids will also decorate the paper bags we put the lunches in so come with your creativity! 10. Cards of Support for ICS and JFS. Everyone is welcome to make a card of support, or 2 or 3, to show the people at ICS and the JFS Safe Parking program that we care about them. David Garstang and Cantor will lead the Menchtones to sing for our friends at a local retirement home.